Are you taking full advantage of the capabilities of the Facebook pixel? So, it’s 2017 and there are still marketers out there on Facebook who are unaware of how much the Facebook pixel can do for them. It is, in fact, the must-have tool for driving your marketing and sales efforts, and you should install it yesterday. The most widely-used targeting options are featured in the Facebook pixel. Come to think of it, how do you track conversions with precision and optimize them, if you aren’t using the pixel? How do you measure results? If you are totally new to the Facebook pixel, you can get the 101 here, and, if you are ready for a more complicated read, follow this link. Join our free workshop on Building $1MM Funnels where we’ll cover, among other things, advanced Facebook advertising strategies. Putting it in short terms, the Facebook pixel is a snippet of code for your website that gives you the opportunity to create, track and optimize your ad campaign audiences. Through its power, you can study and take advantage of your audience’s behaviors on your website to deliver highly-targeted Facebook ad campaigns, boosting your ROI and saving you a ton of money in the process. Basically, every invested dollar will be used to target the right people with the right message, and, as a result, you will get more by investing less. What marketer in his right mind doesn’t want that? Download the Essential Guide to Funnel Building to Find Out How You Can Easily Create Successful Marketing Funnels for Your Business. In this post, we’ll provide examples of how different successful brands use the Facebook pixel to keep track of their website visitors’ actions and how they use that information to send highly-converting content. However, in case you are wondering why you should retarget in the first place, take a look at some numbers that support the cause. According to a study by comScore, retargeting seems to do the trick for big brands, with almost half of the world’s major brands and around 70% of marketing agencies setting money aside for retargeting purposes. Another research conducted by Criteo states that if you send retargeting ad campaigns to your website visitors, they are 70% more likely to make a purchase. Moreover, having surveyed big players with thick marketing wallets, it turns out that paid ads get only 2% of their first-time visitors to make a purchase! Where does that leave up-and-coming startups or at least medium-sized companies? On the positive side, eMarketer states that only 11% of people will react negatively to retargeting ads, since they’ve seen the product before and appreciate the reminder. If you are still not convinced that retargeting is the right way to go, Connectio provides data that shows that people who have been retargeted by ads are 4x more likely to put money on the table. In addition, the ad response rate sees a 400% increase, while retargeted cart abandoners are 3x more likely to come back and follow through with the purchase. Now that you have a good understanding of how big of an impact retargeting really has, let’s take a quick glance at the types of pixels that are available to us. WHAT TYPES OF FACEBOOK PIXELS ARE THERE? Standard events. There are 9 standard events that bucket your website visitors into custom audiences. Facebook can track and optimize such ad campaigns automatically. Custom events. If you want to track a parameter that is essential for your line of work, but is not featured among standard events, you can create one yourself. In order to track and optimize custom events, you need to pass their names into the trackCustom call. Custom data gives you the opportunity to define more segmented event-related data. Offline conversion. This option gives you the ability to keep track of transactions that take place at a physical store or other offline channel as a result of a seen Facebook ad. Make sure to read up on the types of pixels before moving on to the examples. Now for the entrée: let’s dive in to see how you can use the Facebook pixel to advance your business. HOW DO BRANDS TRACK & RETARGET THEIR AUDIENCES? If you want to find out for yourself how different organizations make use of the Facebook pixel to boost their income, get your hands on the Pixel Helper Chrome extension. 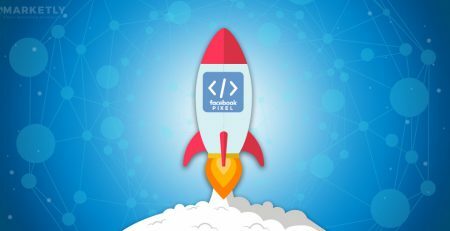 Advertisers use the Pixel Helper to check if their pixels are working as intended, but it is also a great marketing tool that can show you everything you need to know about how a certain website is using their Facebook pixel. Let’s start off with a noteworthy example, courtesy of TransferWise. Start taking notes, because these guys know exactly what pixels their website needs to have. The “Calculator” custom event garners data that is then used on Facebook to deliver countless laser-focused retargeting campaigns. Notice how they set the sourceValue to 1000, effectively seeding out people who aren’t big spenders, or rather, big transferors in this case. On top of that, they can retarget their audience based on location and the currency they want to exchange. In the example below, you can see that two pixel events are used by LeadPages in their retargeting efforts. These guys set up a NonBouncer event, which is activated when a website visitor navigates to browse more than one page. It just doesn’t take into account people who came across your website and closed it after viewing a single page. That way, they have a more qualified audience to retarget and they’ll save a fortune by not targeting uninterested visitors. 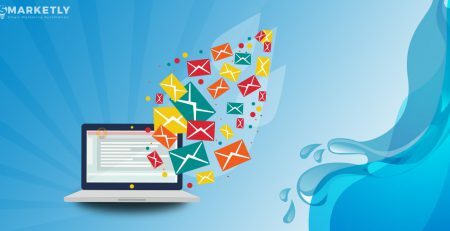 Learn more targeting techniques by downloading our “Complete Guide to Lead Generation: 120 Tips to Skyrocket Your Leads”. They could’ve also filtered website visitors based on the amount of time they spend on the site, but that doesn’t always mean that they are engaged enough. The team over at Fiverr, a freelance services marketplace, also deserves a pat on the back for their pixel setup. The “Enrichment” custom event goes to show how creatively effective you can get with the Facebook pixel. It captures a lot of relevant info on the audience, like the power_buyer parameter and orders_completed – a great way to separate big spenders from casual customers for retargeting purposes. The power of collected data gives Fiverr the opportunity to deliver relevant content to many different groups of people. You can learn a thing or two from this pixel setup. The Pareto principle, otherwise known as the 80/20 rule, is heavily utilized by Front to keep their eyes on their website visitors. Despite the fact that the Sign-up event is a custom one, its purpose isn’t that complicated. It serves to bucket people who have signed up to get a free trial of their app into an audience. This can be vital when the time comes to send targeted campaigns to get those people to purchase the core offer, but it can also be used along the way to nurture them and increase engagement by delivering relevant content. 500 Startups didn’t have to go through all that trouble and create a custom event for each page. Instead, they could have gone for a standard event and track URLs, as was mentioned earlier. An online learning platform called Udemy decided to use a very straightforward approach to Facebook retargeting. Keeping track of featured category visits seems to be the ideal solution for their type of business. That way they can see where their website visitors hung around and retarget the ones who didn’t convert with relevant product ads via Facebook. Social media marketing tool Brand24 uses pixels that are a bit more complicated. First of all, they are yet to upgrade their software, because conversion pixels aren’t available anymore, and they have not one, but two. Another surprising thing here is that the “Lead” standard event is fired even if you haven’t signed in yet. So, it appears as if they are keeping tabs on people who got to the signup page, but never completed the form. Again, as was the case with 500 Startups, why not take the easy way out and track such visitors with a URL? After all, what’s the point of reinventing the bicycle in this case? But they are big boys and there must be a good reason behind this solution. The most obvious reason to segment people based on their visit to the signup page is to move them through the conversion funnel. 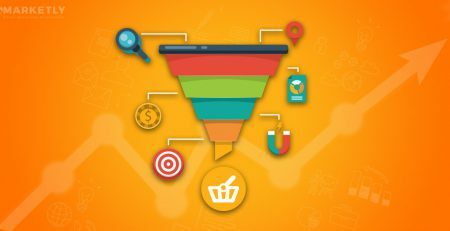 Of course, funnel setups can get overcomplicated at times, but in the modern world it is crucial to know where your audience is in the funnel and drive them to the next step. Video hosting platform Wistia is definitely keeping up with the times in terms of applying all new marketing techniques. As you can see from the above screenshot, the Pixel Helper found “Type” and “Plan” custom events on Wistia’s website that harvest a lot of useful data. Use collected data to target customers with upgrade offers. For instance, Wistia even excludes customers (an integral part of retargeting!) in order to sidestep ad irrelevancy and prevent any conversion rate decreases. The “Plan” custom event is a great way to keep your existing customers from leaving. 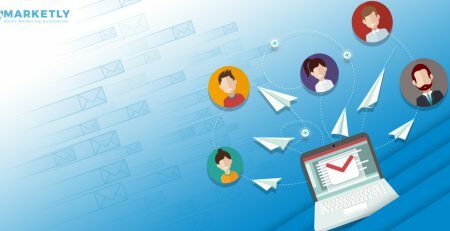 Send them highly-targeted content to keep them in the loop and nurture them to make product upgrades. This one’s for the books. Rental Cars just listened to what Facebook suggested and delivered fantastic pixels. 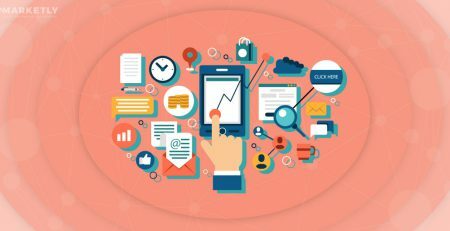 Standard events were initially designed to help companies keep track of micro conversions, and monitor the success of each funnel stage in order to optimize future campaigns. For instance, a visitor that searches for something on your website is probably in an early stage of the funnel. But someone who already has something in the shopping cart is more likely to convert and travel all the way through the funnel. Micro conversions enable you to track tour campaigns and let you know how to yield more sales. Retarget people who didn’t follow through with an order, plus use scarcity to encourage interested visitors to “Order Now” and not sleep on it. Another important aspect of the Facebook pixel is optimization! Send data to Facebook on how your audience is interacting with events within the funnel. Facebook will automatically optimize your campaign to direct visitors through the funnel. Finally, say you were searching for a car to hire in Amsterdam (you can’t get everywhere by bike), but something else came up. Thanks to your Search event, you will get a message that will not suggest you to simply “Rent a car”. In fact, it will use the specified location to encourage you to rent a car in Amsterdam. It’s all about tooltip interactions for BareMetrics’ team. This analytics solution tracks customers who make use of the provided tooltips. This could be a way to optimize the site from an internal point of view. However, you can also use it to find users who want to know more about the product. They can take it a step further and exclude tooltip users to target people who don’t know their way around the solution with educational content. These virtuosi are the definition of thinking outside the box. Notice how it says that the Pixel Helper found one pixel on google.com. Alright, so this isn’t a Facebook pixel per-se, because Get Stencil functions as an extension on Chrome. The way it works is that it tracks the pixels of any website you view while using their add-on. Not the other way around, which would limit their use of the Facebook pixel exclusively to their website. Facebook may not like this, but the fact is that this doesn’t go against any current Facebook rule or policy. This is what happens in reality: you launch Get Stencil via Chrome, but you are actually opening the web editor in the eyes of the software. So, no harm, no foul. They go the extra mile to fire other custom events that record everything that goes on within the application. You can, of course, use that data to set up super-specific retargeting campaigns. But the amazing thing is that they launch their pixel via Chrome. Give this thought a second: people use their product without having to go on Get Stencil’s website. Marketing solutions platform Connectio decided to take matters into their own hands and upgrade the Facebook pixel. Connectio further developed the Facebook pixel, completely re-writing the code to give the pixel unlimited capabilities. Unlike the Facebook pixel, where you have to set up every parameter that you want to track and analyze before launching the pixel, the ConnectRetarget Power Pixel records a large amount of data by default and gives you the opportunity to take advantage of it later on. In the above example, you can see a comparison of how the Facebook pixel performs against the ConnectRetarget Power Pixel. Connectio spent almost €220 on a classic Facebook retargeting campaign that brought home a bit over 30 sales. Then they created additional audiences using their own software to target only the most engaged website visitors. This brand targeted people who watched more than 2 minutes of a video or scrolled halfway through a sales page. They spent almost €125 within their own campaign and got a whopping result. 85 sales! This was better than the classic Facebook retargeting campaign by 384%! Connectio achieved this without changing anything on the website! Free Download – “Essential Guide To Funnel Building”: Discover How to Easily Set Up A Marketing Funnel for Any Business Model. The Facebook pixel has been around for some time now. If your brand hasn’t considered using it before, I hope this post helped you make a decision. The pixel enables you to leverage the actions your website visitors take to deliver super-targeted ad campaigns on Facebook. Through the power of the pixel, you will save a lot of money by targeting only the most relevant people. They will consequently increase your return on investments. There are, however, other options that enhance the pixel and give you a much wider data spectrum. Data is what it’s all about. It’s a waste to see 90% of data slide past you because of the Facebook pixel’s limited capabilities. So, keep your eyes peeled for the best retargeting solution for your business. If you feel like sharing your thoughts, don’t hesitate to drop a line in the comment section below.